3 bedrooms, 2 bathrooms, sleeps 6 adults. Access to pool. The holiday rental home has 2 floors with 3 bedrooms (1 double and 2 twins). The first floor has a living room, a kitchen, bedroom and a bathroom. The second floor has a master bedroom another bedroom and a bathroom. The master bedroom has a balcony with a nice view. The kitchen is well equipped and has a dining area. The living room is comfortable with a TV and the house is air conditioned. There is a terrace in front of the house with a dining table and space for sunbathing. The communal pool is large and clean and is close to the house. Within a 5 minutes drive you will find many shops, restaurants and bars. The beach is only a 5 minute drive from the house. There are several nice golf courses near by like Campoamor, Las Ramblas and Villamartin within a 7 minute drive. Zenia Boulevard, the largest shopping centre in Europe which opened on 25 September 2012, is a fifteen minute walk away. Sport center only two minutes walk away. Many golf courses near. Villa Martin, Las Ramblas, Campoamor, Las Colonias, etc. There is air conditioning and heating in the house. Towels are supplied. There is a dining table on the terrace. There are many excellent restaurants in close distance and supermarkets, banks and many good golf courses. 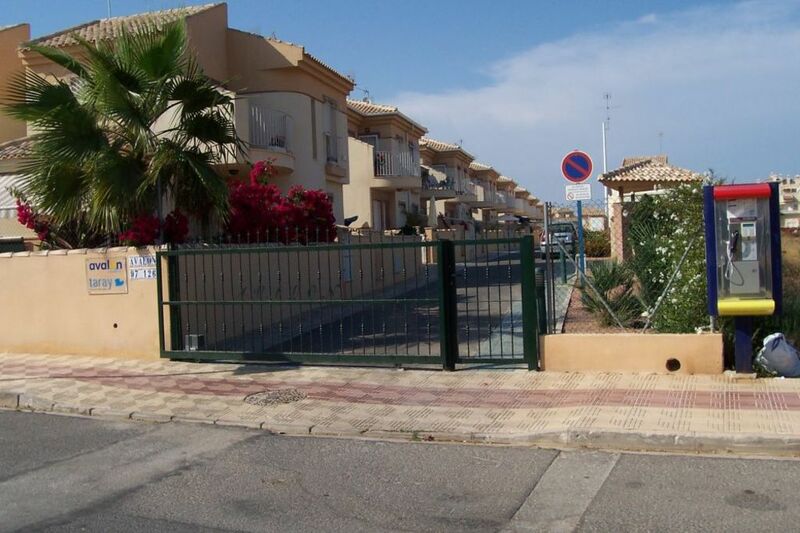 The area Playa Flamenca is close to Torrevieja only 10 minutes by car and Alicante airport is only 45 kilometers away. The beaches, Playa Flamenca, La Zenia and Campamor are very clean with smooth golden sand. There's plenty for the kids to do, an aquapark, tivoli, go-karting etc. Torrevieja has lots of shops and restaurants. It has a marina along with a bustling downtown area. Check in time is after 4.00 pm and check out time is before 11.00 am. All reservations require a deposit of €100 per week, payment must be made 3 weeks before arrival date. Bank transfer. Check in time can be flexible. It is charge of 70 euros for cleaning in collecting of keys, it is extra to this rates. Electricity and water is included in the rental price.